Lou Barlow once sat in Sydney’s Waterfront Records and sung of the blessing of his marriage. 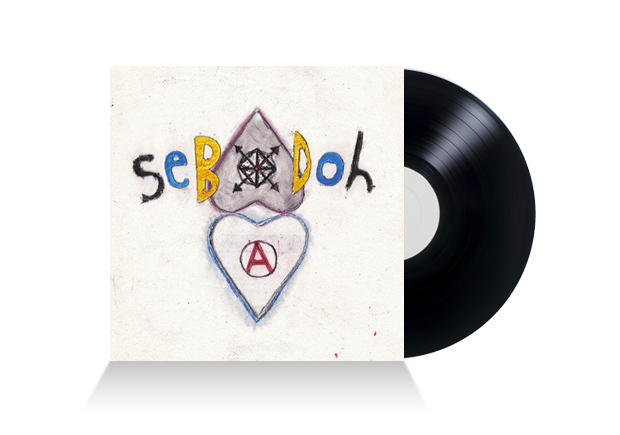 Some 25 years later it is the dissolution of that union which has prompted much of the material that flows through the first Sebadoh full-length in 14 years, Defend Yourself. Barlow appears to be quite adept at this whole ‘getting the band back together’ thing with Dinosaur Jr being particularly fertile, and Sebadoh looking to follow suit. Defend Yourself finds the three-piece power trio delivering on the melodic tunes steeped in punk roots that made them forefathers of both the lo-fi and indie-rock movements. I Will kicks things off with a verse that sounds like the type of tunes that Barlow has been delivering on his solo records for some time before the band kick in with considerable force and grime. Lowenstein adds his own tunes that are more angular and angst ridden in the form of Beat and the rollicking Inquiries. Barlow shows the band’s many flavours with the delicate Let It Out and the barroom ramble of Can’t Depend a high point. Defend Yourself may not have that one killer blow that Sebadoh have landed in the past, yet from start to finish it is one of the trio’s most solid and enjoyable efforts yet. Gimme indie rock!